Local SEO is quickly becoming paramount to sustaining and growing your brick and mortar store. If you want people in your area to know you exist, or just make it that bit easier to find you when they need to, optimizing your website should be top priority. When it comes to outranking your local competitors your need to focus on local SEO keywords, this will drive your search ranking up and bring you more customers in! When it comes to increasing your website visibility, business directories do a fantastic job of putting your business in front of your potential customers. They also give you quite a significant boost in your Google rankings, which generally equals more customers! Most business listing directories even give you a small section for you to talk about your business and what exactly it is that you do. There many many directories out there, you want to try to be in as many of them as you can! It is definitely time consuming, but if it brings you in more customers, its small price to pay. Oh and did I mention that the majority of them are free. One tip that I want to give you if you are going to go down this road is; make sure you keep all your contact info consistent across all the directories. This boosts your SEO as Google will see all this information. We recommend that you keep a spreadsheet with all your necessary information, like; business name, address, phone number, email, logo and opening hours. This way if anything changes you have a record of it all and know which directories need to be updated. We don’t have to tell you that Google is the largest search engine in the world. So it makes sense that you should have a Google My Business listing! It’s the first thing people will see when searching for a product or service in their local area, this is where you want to be. There is a bit or a process when getting your business on ‘Google My Business’, but they make it pretty easy and straightforward for you. Once you are verified, you can start adding photos, video, store hours and other business information. Make sure this is done properly and professionally. This will most likely be your most viewed listing by far! Local keywords will definitely help you get found, but that doesn’t mean you should sacrifice content quality. Google likes high quality, valuable content on websites. Sites with this type of content get ranked higher than sites that don’t. Local keywords will most certainly help customers find you, but make sure your content is high quality. Google LOVES high quality and valuable content, if you can provide people with value, Google will rank your websites higher than ones that don’t. There are three big places for reviews that you need to be using. Google, Facebook and Yelp. You should be pointing your customers towards either one of these sites for all your reviews. Research has shown that over 90% of potential buyers read online reviews before choosing which company to do their business with. So dont make the mistake of brushing reviews off, if someone is happy with your product or service, just kindly ask them to leave a review. Most people are more than happy to as they know it helps. Up until just a few years ago, the only way for users to enter information into search engines was to type. Those days ended when Google introduced their voice capabilities for searching. This is another topic that we have covered quite recently and its definitely something you should check out! Up until recently, the only way for people to find out something on a certain topic, was by typing it in to a search engine. Now that nearly everyone either owns a Google home, Amazon Alexa, or atleast a smartphone that is capable of doing voice search, those days are over. 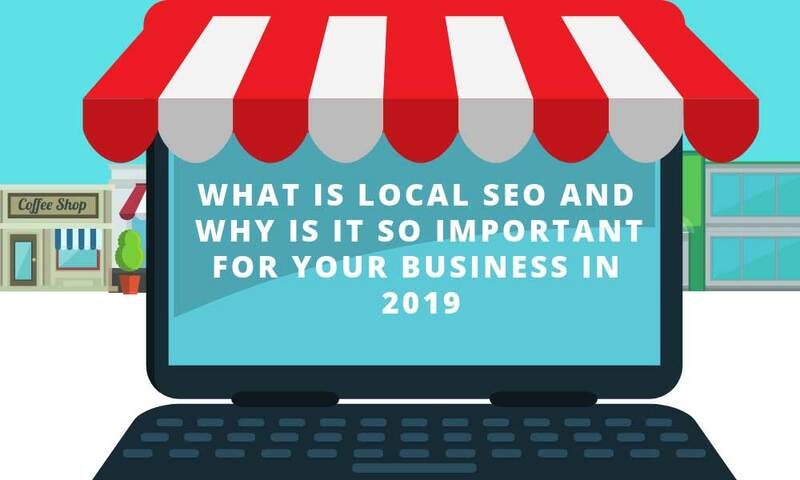 So to sum it all up, to keep up with the digital times and make sure you don’t become a failing brick and mortar store, you need to be utilising local SEO. It is a bit of work and can be very time consuming, but the results are short of amazing. We have helped dozens of clients turn their businesses around in a relatively short time frame, just from the SEO we have done for them. If this sounds like something you would like to hear more about, get in touch with us! We love talking to our readers and love helping businesses of all sizes! Website Design Oakville on Google’s Mobile First Indexing – How Does This Affect Your Business?